Day 2 - Selden to Kandersteg, pizza for lunch there, then up to Oeschinensee and Hotel Berghotel Oeschinsee: 400+, 400-, 4h actual hiking. Day 5 - Belalp to Massa gorges, cross bridge, then up through the Aletsch forest of aroles, lunch and then a bit more to Riederalp and cable car down to Sierre, then train to Brig: 400+, 600-, 5h hiking. We went down the telepherique to Wiler, where the cars were waiting for us. 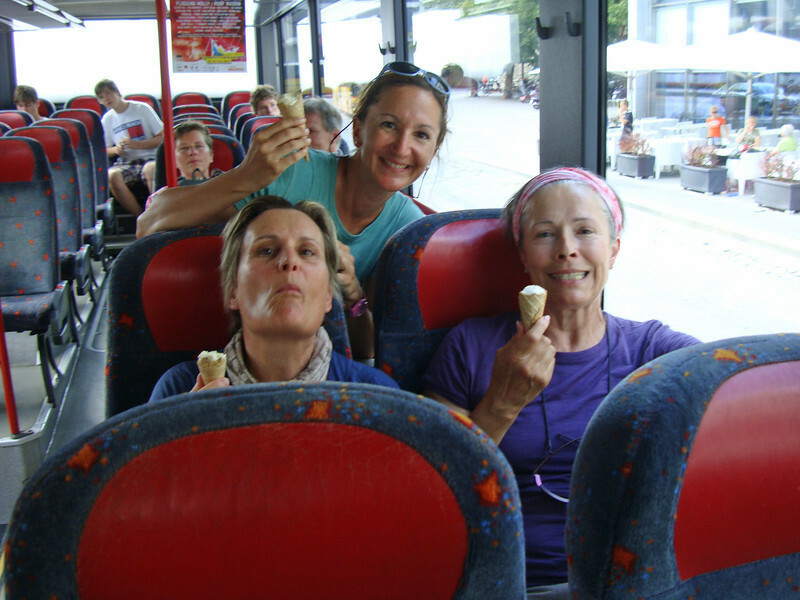 Then we drove down the mountain to Brig and grabbed a ice cream just before taking the postal bus up to Naters, then Blatten, where a cable car took us up to Belalp.